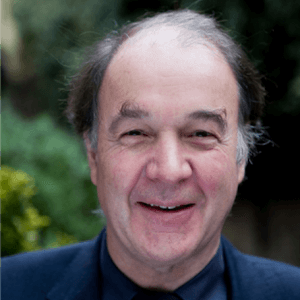 Stewart Wallis was the executive director of the New Economics Foundation, the UK’s leading think tank for social, economic, and environmental justice, from 2003 through 2015. He graduated in Natural Sciences from Cambridge University and began his career in marketing and sales with Rio Tinto Zinc. After receiving a master’s degree in business and economics at London Business School, Wallis spent seven years with the World Bank in Washington, DC, working on industrial and financial development in East Asia. He then spent nine years with Robinson Packaging (UK), the last five years as Managing Director leading a successful business turnaround. In 1992 he joined Oxfam as International Director, gradually assuming responsibility for 2500 staff in 70 countries and for all Oxfam’s policy, research, development, and emergency work worldwide. In 2002 he was awarded Officer of the British Empire (OBE) for service to Oxfam. Stewart Wallis is also a board member of the New Economy Coalition (USA), Vice-Chair for the World Economic Forum’s Global Agenda Council on Values, and Trustee of the Forum’s Inclusive Growth Global Challenge. His expertise includes global governance, functioning of markets, links between development and environmental agendas, the future of capitalism, and the moral economy.